I’ve been rendering Daz Studio figures, exported into Blender, under Cycles, and the hair models Daz uses (or the ones I have, I mean) aren’t ideal, and I’d like to render hair in Blender instead of use those models. 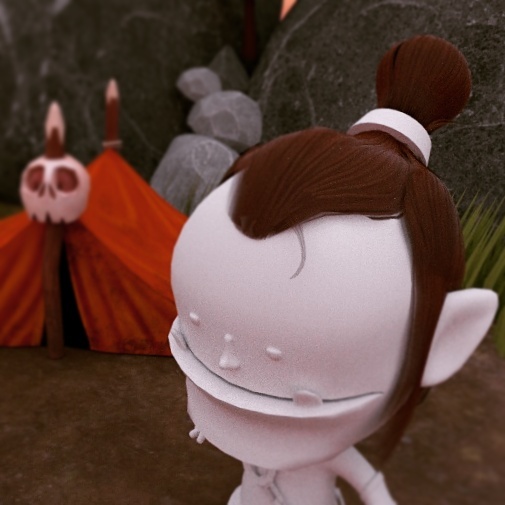 Unfortunately I know of no add on or tool to help with particle hair in Blender. I have a problem with this great tool! I have made curves/ribbons from hair particles and can switch back and forth manipulating the curves etc. but I can’t get up a context sensitive menu like F6 to adjust the shape/size of the ribbons. No matter if I am in object or edit mode the operator says only “Toggle editmode”. Is this just a noob problem? wow, it looks like the GMH2 Hair Script. Thanks for delivering a similar tool for blender users! 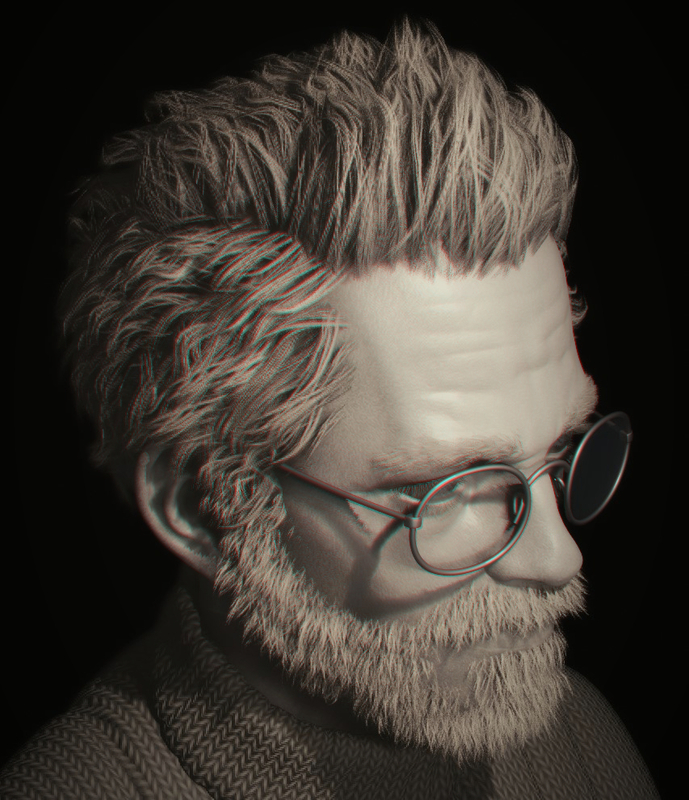 Crotalidae - I don’t know how daz studio hair export works but maybe you can emulate similar workflow to zbrush? 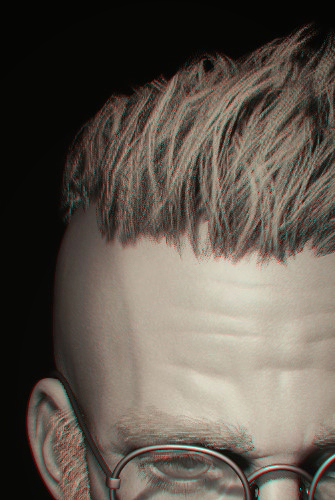 Here is how to do get fibermesh hair to blender particle hair system. I hope there is similar way it can be done in daz studio. Xerilon - yep, this is noob problem ;). It is how blender operators/buttons work. When you execute operation (by pressing button) - you can acess f6 properties. But after that you won’t be able to acces those. It is actually god idea, to be able to change ribbons profile, after they have been created. I will add this in next update - maybe as ‘Reinitialize ribbon’ or something like that. btw. I forgot when you are in curve mode, you can adjust curve radius to get bigger/ wider ribbon. And in curve props panel you can change -'u resolution’ - to reduce amount so curve subdivisions. xanax - I’m glad u like it. caused by the sharp loop being attached to both sides of a mirror modifier mesh (basically no space between the sides). It’s fine with an error there but maybe there could be a better error message so people who encounter it know how to fix it. It seems the proper procedure is to select the curves, then the mesh you want to receive the particle system. If you do mesh then curves, you get an error and it creates an empty particle system. This tool is amazing. We’ll worth $32. In fact, that’s a steal considering how much easier this tool makes my work. Thank you for your hard work. Can someone help a newbee install this? Using Blender 2.78 I was unable to get it installed even though I copied all python files over to the scripts/addons and even tried the “Install a file” on all of them. It never shows up in Blender anywhere (to be fair I started off in Sensei but even switching it off and going through the install again I still don’t see it). And one other question – I’m also interesting in HairMesher, as it seems it might be easier for my purpose (I want to generate men’s short hairstyles). I don’t mind spending the money (only half the cost of this one, but I spend far more $$$ on all kinds of 3D stuff) but I wondered what folks thought about it for my purpose (I’ll be exporting whatever hair I create for use in iClone). I can see (from your post on my blog) that you solved your problem. About short hair - new update will have new custom made algorithm for generating child ribbons, based on parent particle hair strands. I will give you way more uniform child strands distribution, compared to blender build int child particle hairs (I wish it would be done my way in blender source code, but I’m not good at C++). There new release should be out today or tomorrow (but I will take me few more day for tutorial and manual). JoseConseco - Ok, thanks for clearing that up Love the tool! That is weird. If you can share the file I can look into it. Bought this tool and this is really time saver. Thanks for addon! After that i decided to work on hair part in local view mode… but no luck - any changes in hair settings recreate curve OUTSIDE of local view (so curves just dissapear from viewport). Tilting/aligning. Is it possible to add “rotation shift” parameter to this actions? Sometimes “strict paralelity” is not needed… and randomization can`t give precise results. This would be helpful to avoid manual work. Also, if not using the hair tool and just working with bezier curves, the adjustment of “generated” UVs for the curves is a nightmare and takes too much time. Not sure what you mean? When you have multiple hair curves (ribbons) and you work one single item, is should not affect visibility any other hair curves. Works fine for me. Do you have gif or something to show what is your problem? The local view is pain to fix because there is no API for it in python. I can try to look into it, but I would suggest using ‘Shift+h’ as replacement of local mode. there is already option in ‘Randomize curve tilt’ called ‘Tilt Uniform’- when set to max value, whole strands will be rotated instead of just the tips. Is that what you are asking for? It’s is on TODO list, but I’m not sure if blender allows to use curve profiles in F6 properties. I wanted this feature too, but not easy to implement. Can’t reproduce. Can you test it again in 1.6.1. If it don’t work please give me some file for investigation. Xerilon - you mean you did some manual uv tweaking on ribbons in mesh mode, and then after going into curve mode and back into mesh - the uv’s are reseted? When you go into mesh mode for second time use F6 - and use ‘Preserve UV’ option. If you didn’t changed the topology (you only moved, rotated, scaled curve ribbons), then the uv’s will be restored to the state from before you entered into curve state. New option ‘Ribbons from particle hair with children’ - gives better result compared to child particles generated by build in blender child particles (more even distribution, better aligning of child ribbons to surface). Great for short Hair. Resample - more options, and keeps curve tilt and rotation. Thanks, forgot about this universal hiding option. Will use it this way then! Now there is no errors, thank you! But another inconvenience (imho) arised - after creating strand grease pencil layer became hidden. so any additional grease strokes are not visible… So to add another GP strand i have to manually enable layer and clean up old/previous strokes first. In next release hidding GP strokes will be optional - in preferences there will be checkbox for it. "Only selected’ I will make it so that when your are in obj mode it will work on all curves, but in edit mode only on selection by default. But the checkbox will be still there. Tilt Uniform - I would suggest using ‘ctlr+t’ hotkey, when you are in curve edit mode. It is build in hotkey in blender for rotating all curves in uniform fashion.